The Doka AR-VR-App is a powerful mobile application, which combines Augmented (AR) and Virtual Reality (VR) technologies. 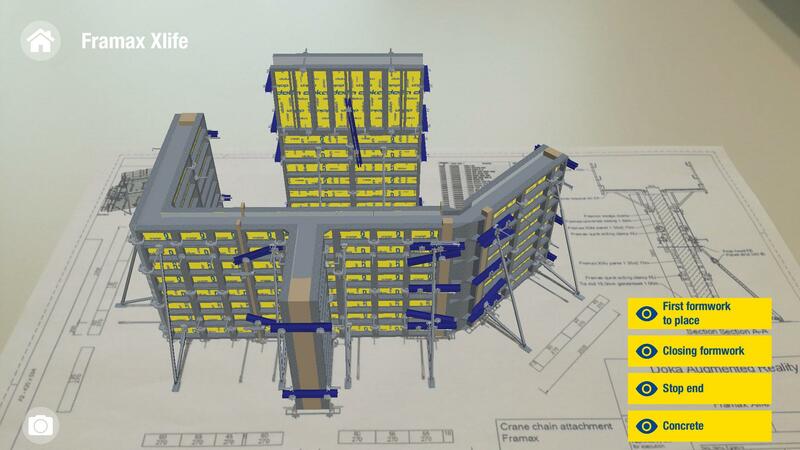 Examine Doka formwork solutions projected in 3D on chosen drawings, project them life-size in your surrounding or step into them in a Virtual Reality environment. 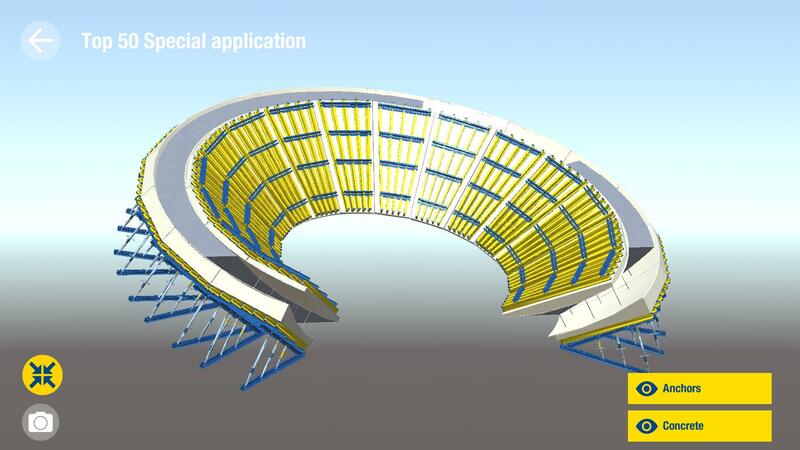 With the App you can have a look at various formwork models (e.g. Framax Xlife, Dokadek 30, ...) via Augmented Reality and get an exciting insight into the world of formwork technology. It is possible to download additional models on demand and to view an animated illustration of selected models directly in the App. 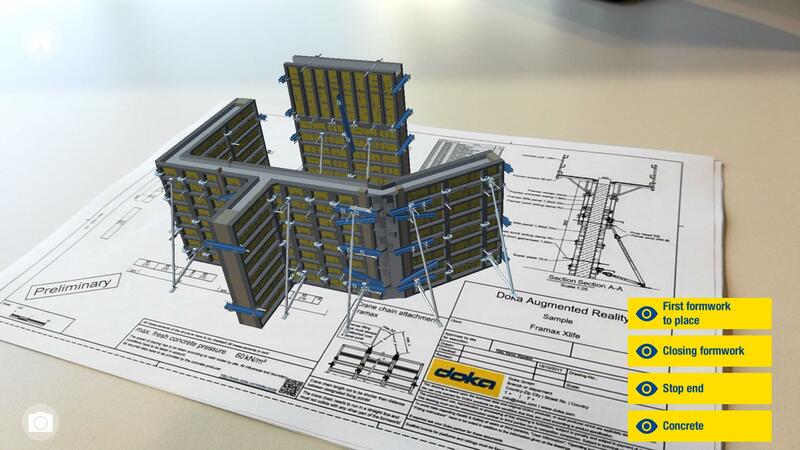 Beside placing the models on specified markers the Doka AR-VR-App also provides a markerless Augmented Reality feature. The application scans the actual environment instead of printed markers and allows you to place virtual objects into a real context. For some selected models, a virtual reality view (VR) is available. The virtual reality view is best experienced in combination with integrated VR glasses on your smartphone or with a VR cardboard. Within the scenario you can move in different directions. In order to move forward, press the button on the top right of the cardboard or just lower your head in the appropriate direction. Explore the 3D models of Doka and get a detailed overview of the latest formwork technologies. 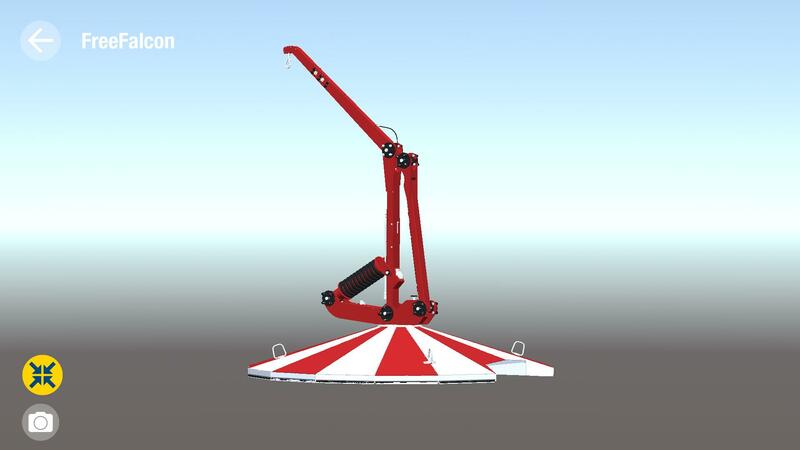 Print the plans available in order to project the models via Augmented Reality on the drawings. Some of the respective plans can be downloaded below. More models and markers can be found in the Doka Augmented and Virtual Reality App. Thank you for your interest - Doka Augmented and Virtual Reality App. Thank you very much for your interest - Doka Augmented and Virtual Reality App.